Who would I love to serve? How would I love to serve them? What would be the most powerful, fun, and useful thing I could do for this client or customer? If I dedicated my life to making this person/company’s life better, what is the biggest difference I could make for them in the smallest amount of time? Feeling Finding Questions help bring answers your prospect may not even know are under the surface. I have often gone into meetings with prospects and existing customers for a specific project and after further discussion we have determined another solution or product would serve their goals better. The following questions were shared with me by Phil Kline who is an expert in Dale Carnegie Sales Training. These questions are more valuable insight are provided in Phil’s book, Customer Driven Sales. 2. Why is that important to you? 4. Why is that a problem for you? 5. If I could change something for you in your next product what would you want me to do differently? 6. Why would that be important to you? When questions are asked from a place of joyful inquiry, the answers are truthful, creative, fun, and take root. Don’t skip the ‘Why’ questions! As your prospect digs deep to answer the ‘why’ the true reason behind the need can be discovered. Often the best sale to make is going to existing clients and customers. When working with customers for a long time is is easy to get into ruts. Projects can flow well, which is always a blessing but are we doing the best we can or are we staying safe? Especially with marketing and graphic design it is important to always look at new ways of approaching concepts. You don’t have to throw the baby out with the bath water and completely reinvent everything. 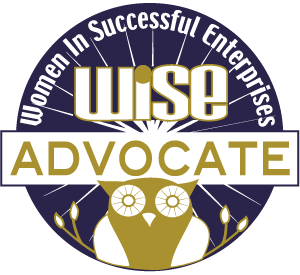 Sometimes just a change in logo placement or color can update a Web site or print marketing piece. Other times digging deep into the entire brand and relating it to the business as it is today is needed. If you take the time to ask questions to find the differences your customer would love to make and the way they would most like to make them, you can deliver creative solutions that help your customer relationship and their business flourish. Happy seed planting and remember to appreciate the abundance of the harvest. 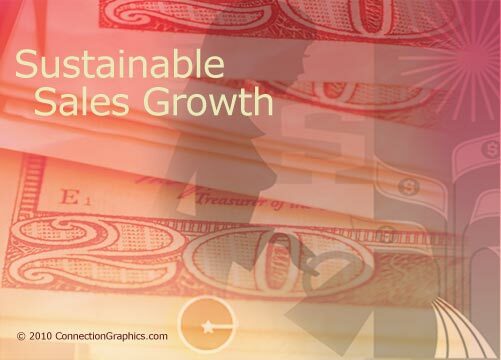 If you like the Sustainable Sales Growth image please visit our desktop patterns area. We have a “Money as Tools” saying on the images posted. If you would like to use one as your desktop pattern, download the image size that fits you monitor.